Resort home architects create residential designs that cater to a clientele that wants something different. Something attuned to the fantasy of a particular area. Some residential architectural firms understand that they need to create a “theme” for their designs, if not for entire neighborhoods, to perpetuate the fantasy and image of a given locale, to satisfy client desires. 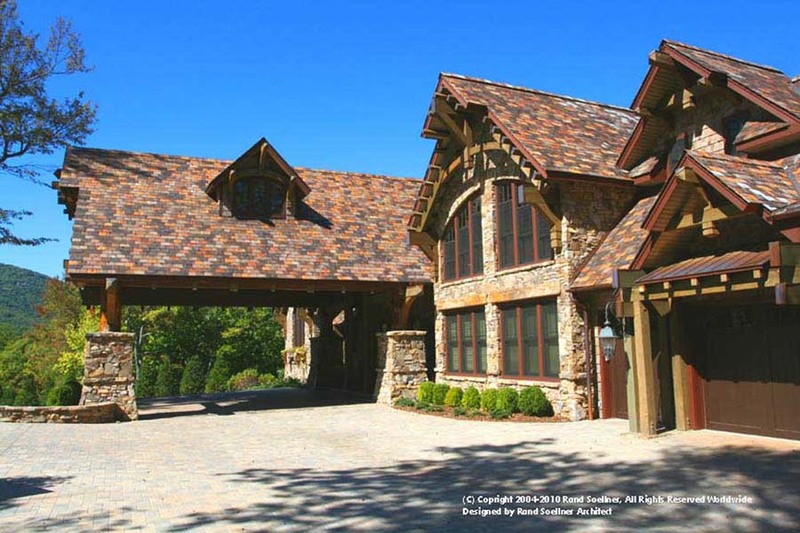 Resort house architects Rand Soellner, with spacious porte-cochere drive-through. design custom residences in communities catering to an upscale lifestyle. Resort home architects create custom residential design themed to match an overall composition, which is a desired, purposeful aesthetic for an entire community. It involves materials, colors, possibly stylistic details, windows, roofing, wall siding, treatment of foundation walls, site orientation, visibility of houses from the street and neighboring properties, paving materials, textures and colors. It also involves percentage of site coverage with buildings and other materials, number of structures on a site and their relative sizes or massing, heights, landscaping and other features contributing to the overall impression of the community (Gestalt reaction). It is this critical aspect of theming that controls the color, architectural features/style, orientations, roof slopes, materials that give continuity to any community. In Greece, there is a unifying theme that is beautiful. There were probably no rules; people simply coordinated the design and construction of their house to be similar to their neighbor’s. The result is a breathtaking composition that is cohesive. It evokes a wonderful feeling of a particular place with a particular character. Resort house architects like Rand Soellner create fantastic resort lodges like this to satisfy everyone’s wishes for the spectacular and timeless. (C)Copyright 2005-2010 Rand Soellner, All Rights Reserved Worldwide. Rand Soellner has in-depth experience with theming, having designed facilities at world-class theme parks like Universal Studios in Orlando, Florida, which rely entirely on the establishment of a particular feeling and the creation of a special “place” that gives visitors cues so that they know that they are in a unique location. There are boundaries to themed communities and entry points, and the overall experience. Each aspect is crucial to establishing a sense of arrival, change, and immersion in the special place with a unique character. Also, Mr. Soellner has written community architectural standards for places like the Branches as East Fork in Rosman, a mountain community. 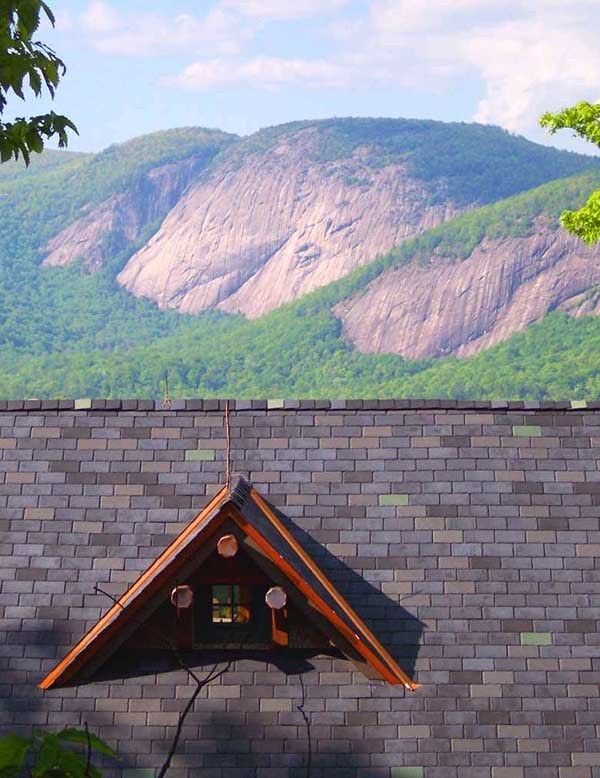 Rand Soellner has also served on Architectural Review Boards for mountain themed communities like Buck Knob Island in the middle of Lake Glenville in the Cashiers, NC resort area. Resort residential architects need to have some experience writing and implementing these sorts of custom guidelines to understand how to apply them to a comprehensive set of real world architectural designs. Resort house architects like Rand Soellner know how to blend uncommon home designs with outstanding environments like this. (C)Copyright 2004-2010 Rand Soellner, All Rights Reserved Worldwide. Please give this architectural firm the opportunity to help you theme your resort. Themed facilities are the hallmark of a quality development, which is why you see such world-class organizations like Disney theming its residential communities. A theme carries with it a special, desirable ambiance that induces people to want to live there. And if you want your community to be successful, people need to want to live there. That creates market demand, which is what any developer desires to help them run a successful enterprise. And themed communities should have a higher price tag, which also helps developers turn a better profit for their efforts in creating a quality sense of place. Soellner’s resort residential architects will work with you to establish a theme that works for your concept and evolve details, colors and material palettes that tie the whole idea together. Having that “idea” is what makes the difference between upscale (translation: worth more) and a typical neighborhood. Signage, roadway layout, master planning are all part of this and Soellner is interested in helping you establish your theme as your resort home architects. Once established, Soellner will apply the theme to their designs to result in a dramatic community that creates a mood, a special time in history or place on the planet. Resort residential architects make it happen for you.